About us – Nasr Electric, Inc.
For more than 18 years, residential electrical customers as well as commercial businesses in Northern VA, DC and Montgomery County, MD have depended upon the electricians at NASR Electric to solve their residential and commercial problems quickly, expertly and cost-effectively. 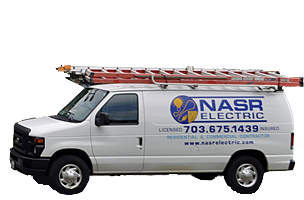 Nasr Electric, Inc. located in Alexandria, VA, is the leader in Northern Virginia, Washington DC and Maryland in delivering quality work as is proof by our clients testimonials. 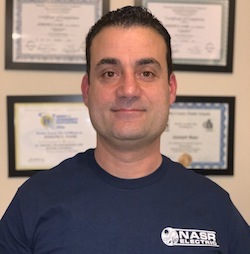 Nasr Electric is owned, managed and operated by Master Electrician Mr. Joseph Nasr. For all residential, commercial and industrial electrical projects, electrical installations and repair, we have exactly what you’re looking for. No need to look further for electrical contractors because Nasr Electric will help you solve all of your electrical problems, electrical installations and repair. Give us a call to talk to our master electrician. Here at Nasr Electric, Inc., we strive to make talking to the master electrician Mr. Joseph as easy as dialing our phone number. We provide electrical services in a timely and professional manner, our electricians are committed to complete every project with the utmost care. As a licensed and insured Master Electrician with over 25 years of residential and commercial experience, I am passionate about what I do and meeting and exceeding customer expectations. Whether it’s a new home, remodeling, troubleshooting, an installation or repair, my team and I look forward to meeting all of your electrical needs. Additionally, we install electric car chargers, as well as install and service STANDBY GENERATORS of all sizes and much more. Nasr Electric’s services cover the spectrum and always come with a dedication to customer satisfaction through quality at a competitive price. I’m an experienced electrician with knowledge gained on years of residential and commercial jobs. I currently serve Northern VA, Montgomery County, MD and the Washington D.C. Metro area. We love what we do, and it shows. Experienced, knowledgeable, Licensed, Insured, and united by a commitment to exceptional service to your home and business, the Nasr Electric team works together to give our customers an easy, enjoyable experience every step of the way. The relationships we build with our customers and communities are made to last. By focusing on communication, customization, and quality of service, we ensure that our work will remain a perfect fit for years to come. We found our go-to electrician! During our initial phone call where I explained our issues, Joseph set an appointment and gave me a reasonable quote for the work, he was very honest about the work that needed to be done. Joseph and his team showed up on time and were extremely professional and polite. They fixed our issues and we ended up putting in a new panel. My husband was so impressed that we used Nasr Electric to purchase and install a generator, the best money we have ever spent. Highly recommend Nasr Electric. The power was currently working so I was given advice on what to watch out for in terms of what the cause might be and when to call back for them to check it. This was the second time I have used this company and have both times been impressed with how helpful and courteous Nasr Electric team was! I would recommend this company to anyone needing electrical work!